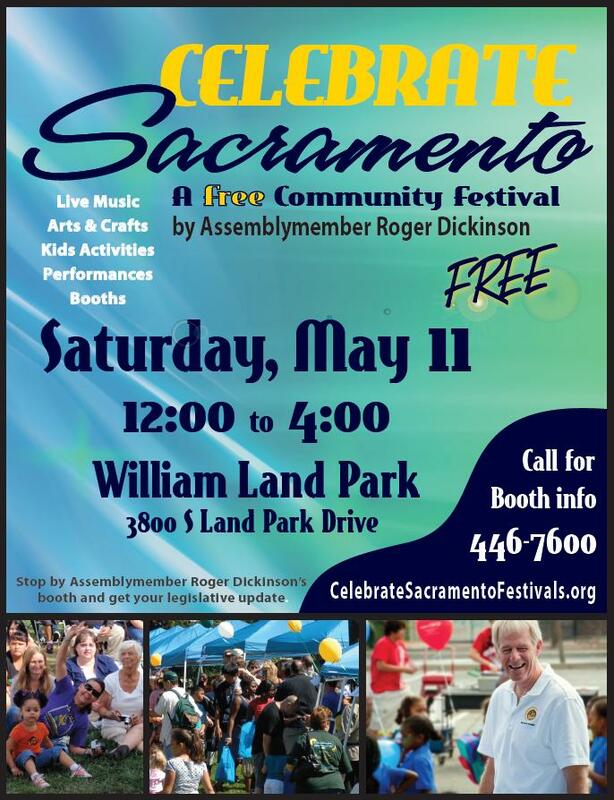 Assemblymember Roger Dickinson will host the 3rd Annual Celebrate Sacramento event this Saturday, May 11 at William Land Park from 12pm – 4pm. The free event will feature live music, arts & crafts, kids activities, performances, and booths. 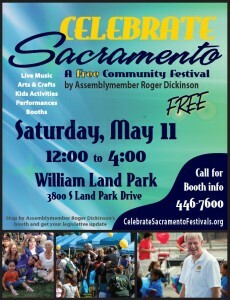 May 10, 2013 in Event, Fun, Roger Dickinson, William Land Park.